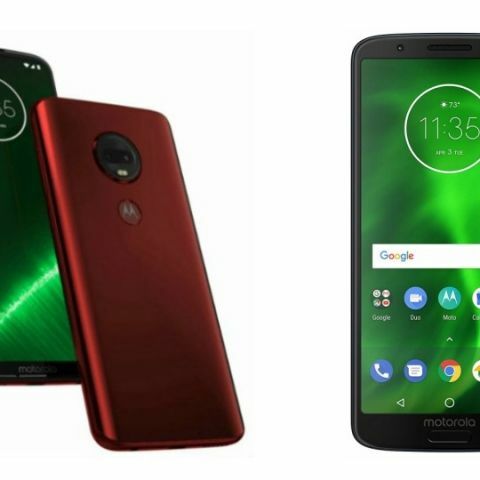 Motorola has recently announced four new smartphones in its G-series lineup that includes Moto G7, Moto G7 Play, Moto G7 Plus, and Moto G7 Power. We pitted the Moto G7 with its predecessor Moto G6 to see what’s the difference is there between the two. The Motorola has finally announced the launch of four new smartphones in its one of the most popular G-series lineup recently. The Motorola G series is known for providing solid specifications under a limited budget. The new Moto G7 is announced to replace the 2018 Moto G6. It would be interesting to see what’s new the company has to offer with its latest Moto G7 in compared to its predecessor Moto G6. Let’s begin by comparing the display of these two smartphones in detail. The Moto G6 sports a 5,70-inch display that comes with a resolution of 1080 x 2160 pixels, while the Moto G7 features a slightly bigger 6.2-inch screen that offers a resolution of 1080 x 2270 pixels. When it comes to the processor, the Moto G6 is powered by a Qualcomm Snapdragon 450 octa-core processor, which is paired with 4GB RAM and 64GB internal memory. The Moto G7 is backed by the Qualcomm Snapdragon 632 chipset, which is faster than the Snapdragon 450 processor in Moto G6. The phone packs 4GB RAM and 64GB internal memory, which is expandable to up to 128GB via a microSD card. As far as the cameras are concerned, both the device sports a dual 12MP + 5MP camera setup on the back. However, it is quite weird that the Moto has provided an 8MP sensor in the G7 as its predecessor Moto G6 has a 16MP unit on the front. Although, it would be too early to decide on anything as there are a lot of factors that contribute towards the quality of the camera other than the megapixels. The Moto G6 was launched in India at a price of Rs 15,990. The phone is now available on Amazon India at a discounted price of Rs 12,999. On the other side, the Moto G7 is expected to launch in India very soon. 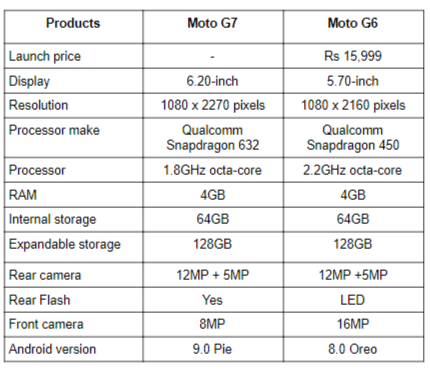 Xiaomi Mi3 VS Moto G?? which phone is best Xiaomi Mi3 or Moto G? ?